Wake up and live now! Flee from hate, mischief and jealousy! Don´t bury your thoughts; put your vision to reality, yeah! Wake up and (wake up and live) - wake up and live! Rise ye mighty people, ye-ah! Rise from your sleepless slumber! Yes, yeah! Yes, yeah! Wake up and live now, y´all! (Wake up and live) Wake up and live! Wake up and live, y´all! (Wake up and live) Wake up and live now! Whey they use you live big today: tomorrow you buried in-a casket. One - one cocoa full a basket, yeah, yes! Whey they use you live big today: tomorrow you bury in-a casket. (Wake up and live now!) Wake up and live! Oh! Yeah-eah! (Wake up and live!) Uh! (Wake up and live now!) Wake up and live! (Wake up and live) Keep on playin´! (Wake up and live, y´all) Uh! Yeah! Yeah! (Wake up and live!) Break it down! How is it feelin´ over there? (Wake up and live now) All right! (Wake up and live!) Yeah, yeah, yeah, yeah, yeah. You gotta wake up and live! Life is one big road with lots of signs, yes! Don´t bury your thoughts; put your dream to reality, yeah! (Wake up and live!) Wake up and live, yea-eah! (Wake up and live) Wo-oh! WAKE UP AND LIVE es una canción de Bob Marley del año 2009. 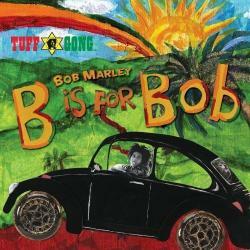 La letra ha sido escrita por BOB MARLEY, ANTHONY DAVIS; publicada por KOBALT MUSIC PUBLISHING LIMITED, . Agradecemos a J o R g 3 por haber subido la letra.